Champions League: What would shake-up mean for Scottish clubs? As the fight for domestic honours in Scotland continues, those running the game are warning of impending European doom. The major footballing powers across the continent are restless and appear to be agitating for change. But would change, if it arrives, come at the detriment of Scottish clubs playing in Europe and if so, why? A number of Europe's top clubs have been calling for a review of the Champions League for some time. They believe the current system needs to be freshened up to stop 'stagnation'. European club football's elite competition has evolved and grown since its inception in the 1950s. In 1992, Uefa scrapped the straight knock-out European Cup format - a competition consisting solely of the winners of each domestic league. As it stands, 76 teams from 54 associations have the chance to go all the way and lift the trophy through preliminary qualification and a 32-team group stage. Those lucky enough to be crowned winners could pocket in the region of £100m in the process. Entry to the group stage alone is worth about £15m to clubs like Celtic. It seems those at the top want more. Reports suggest there are moves underway to create a breakaway set-up that would step out and away from underneath the Uefa umbrella. Such a set-up could include the top clubs in countries such as England, Spain, Germany and Italy. The cash, in theory, could come from wealthy investors in places such as the United States, the Middle East or China. The head of the European Club Association (ECA) Karl-Heinz Rummenigge has recently hinted that a split from Uefa is on the cards. He has already mentioned 20 as a possible number. It's highly unlikely Scotland would be invited to a party of that size. Uefa says a review is underway and has asked the ECA to come up with proposals by the end of the year. A complete split seems unlikely. National associations would be very much against it - as would domestic leagues such as England's Premier League and the Bundesliga in Germany. Divorce would be costly and complicated and those close to the discussions believe it may well be a smokescreen in any case. Some suggest the threat of a split is being used as leverage by the elite clubs in an effort to get more control. That control could come in the form of guaranteed group places for certain clubs regardless of their domestic finish each season. 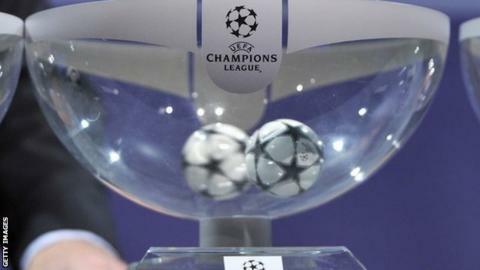 The top clubs may also push for more Champions League places for their respective leagues. As it stands, La Liga in Spain have three automatic entries to the group stage plus a further play-off place - England has the same. It's highly likely that these countries will push to have more automatic places. Of course, if the pot increases and the numbers stay the same then some could be kicked out of the party. Ultimately, the top Scottish clubs fear their party invite being withdrawn altogether or at the very least, a tougher route to the top table. Scotland currently has one Champions League place reserved for the winner of the Premiership, but the current co-efficient means they have to negotiate two qualifying rounds and a two-legged play-off. Change could force them to play an extra qualifying round or face tougher teams in existing qualifying. Celtic and Rangers in recent years have made up to £20m from their forays into the group stage and beyond. Compare that to the £1.5m Celtic received last year for winning the Premiership title and it's obvious to see why it's such a coveted prize. This scenario isn't just bad news for whoever is crowned Scotland's champions, though. In recent years, when Celtic have qualified for the group stage, other Scottish clubs have shared a "solidarity pot" of about £1.5m. Those running the Scottish game say the threat of change is real and the outcome potentially disastrous.